WHAT IF GOD HAD DESTROYED ALL OF HUMANITY BEFORE THE FLOOD? 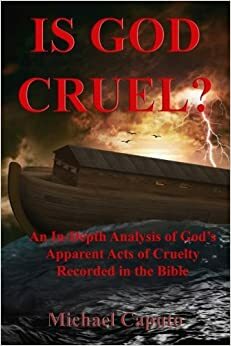 The fact that the God of the Bible decreed the destruction of humanity by a great flood is perhaps the favorite argument of atheists when giving evidence that God is cruel and that such a sadistic being simply cannot exist.. According to them, the thought that a "loving" God would cause such a worldwide catastrophe would be a total paradox. But what if God had not caused the great flood? What if He had shown mercy to humanity, instead? For hundreds of years, after Adam’s creation, humanity pursued a course of rebellion set by the two first humans. Sin abounded on the earth, and God did not intervene. As the centuries went by, “the Lord saw that the wickedness of man was great in the earth and that every intent of the thoughts of his heart was only evil continually” (Genesis 6: 5). A reader may miss the significance if the above statement, but it is of great significance. We need to stop for a minute and ponder what God saw when He looked at humanity. What He saw a world where "every intent and thought of human hearts were only evil." In other words, He saw is a psychopathic world where every vestige of conscience was totally gone from everyone. It was a world where horrible wars, brutal murders, rapes, pedophilia, and all kinds of perversions abounded--and God had to watch it all happen. For the world to reach such a point of no return, God must have stood by and must have waited for centuries. We know that this is His approach as he waited, as you will read later, a very long time before He decreed the destruction of the degenerate Canaanites. No doubt, Noah, "A preacher of righteousness" (II Peter 2:5), and his children warned the world of the impending destruction-- but to no avail--and, finally, the flood came and all where buried in their watery graves. If God had not destroyed such a putrid world, the nations would have become horrendous beyond belief. It would have been a world of untold fear, anguish and suffering where the strong oppressed the wicked, and where women and children lived in daily terror their whole lives. Most of all, a loving God would have had to agonize daily in seeing his children do unthinkable things to each other. Such a reality was bound to be brought to an end--and so God did, but with the aim of some day resurrecting them all. It was not a termination of humanity; it was simply a temporary pause. In thinking about the flood, we may focus on the judgment of God and may forget that God could have brought humanity to an end and could have moved on to better things, but did not, and chose to continue working with humanity through Noah and his descendents. Eight people found favor in God’s eyes: Noah, his wife, his three children and their wives. Thus the human race was preserved from total destruction, and we are here today because of the righteousness of the few and, most of all, because of God’s endless mercy. But what if God had not spared Noah and his family? What if God had simply said, “Enough with these incorrigible humans; no more time will be wasted on them; I will destroy them all, once and for all”? Needless to say, if this had been God’s verdict, the plan of God for humanity would have ended then and there, the rest of human history would have never taken place, and we would have never had a chance to exist, let alone long for eternal life. But God did spare a seed in Noah and his children, and He did go on with His plan that later involved His Son’s coming to Earth and His death for all of humanity. God and Christ must have a very special love for this very trying species called humanity, as both would have had a perfect excuse to scrap the plan and, consequently, not allow Christ to suffer all the agony He was destined to suffer. Had Christ not been filled with unending love, He would have had a perfect opportunity to push for a “let’s-forget-about-it” approach so as to spare Himself the humiliation and the agony He was to endure thousands of years later. The fact that both the Father and the Son did not scrap the human plan, but protected Noah and his family from total obliteration, is another stunning proof that God the Father and Christ are totally committed to bringing their plan of salvation for humanity to completion. There is, therefore no doubt that, no matter what the impediments and barriers may be, God and Christ want humanity to inherit eternal glory, and that they are determined to do whatever it takes to make it come to pass. Thus, far from being a cruel Being, God showed His great compassion and love.